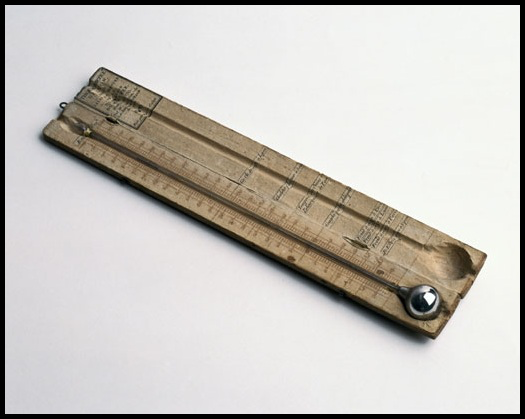 1683 – Jean-Pierre Christin, French physicist, mathematician, and astronomer, invented the Celsius thermometer is born. Jean-Pierre Christin was a French physicist, mathematician, astronomer and musician. His proposal to reverse the Celsius thermometer scale (from water boiling at 0 degrees and ice melting at 100 degrees, to water boiling at 100 degrees and ice melting at 0 degrees) was widely accepted and is still in use today. Christin was born in Lyon. He was a founding member of the Académie des sciences, belles-lettres et arts de Lyon and served as its Permanent Secretary from 1713 until 1755. His thermometer was known in France before the Revolution as the thermometer of Lyon. One of these thermometers was kept at Science Museum in London. 1790 – The United States enacts its first copyright statute, the Copyright Act of 1790. The Copyright Act of 1790 was the first federal copyright act to be instituted in the United States, though most of the states had passed various legislation securing copyrights in the years immediately following the Revolutionary War. 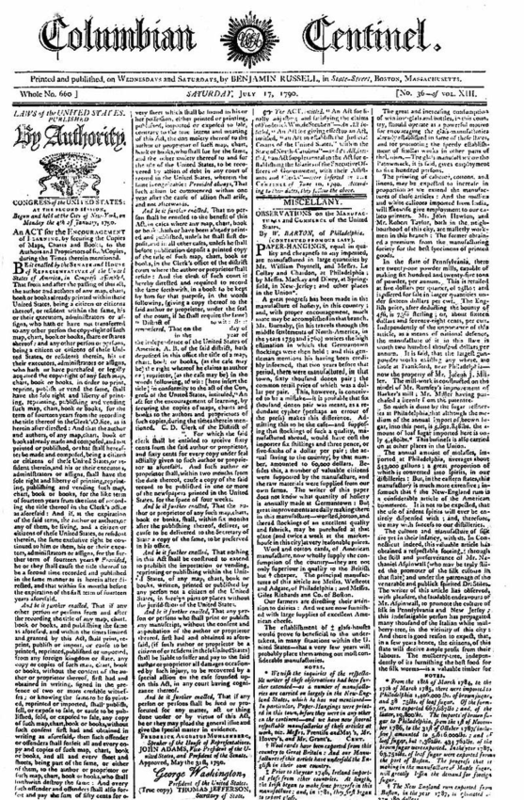 The stated object of the act was the “encouragement of learning,” and it achieved this by securing authors the “sole right and liberty of printing, reprinting, publishing and vending” the copies of their “maps, charts, and books” for a term of 14 years, with the right to renew for one additional 14 year term should the copyright holder still be alive. 1912 – Chien-Shiung Wu, Chinese-American experimental physicist is born. Chien-Shiung Wu was a Chinese American experimental physicist who made significant contributions in the field of nuclear physics. Wu worked on the Manhattan Project, where she helped develop the process for separating uranium metal into uranium-235 and uranium-238 isotopes by gaseous diffusion. She is best known for conducting the Wu experiment, which contradicted the hypothetical law of conservation of parity. This discovery resulted in her colleagues Tsung-Dao Lee and Chen-Ning Yang winning the 1957 Nobel Prize in physics, and also earned Wu the inaugural Wolf Prize in Physics in 1978. Her expertise in experimental physics evoked comparisons to Marie Curie. Her nicknames include “the First Lady of Physics”, “the Chinese Madame Curie”, and the “Queen of Nuclear Research”. 1929 – The first talking Mickey Mouse cartoon, “The Karnival Kid“, is released. The Karnival Kid is a 1929 American animated short film directed by Walt Disney and Ub Iwerks. 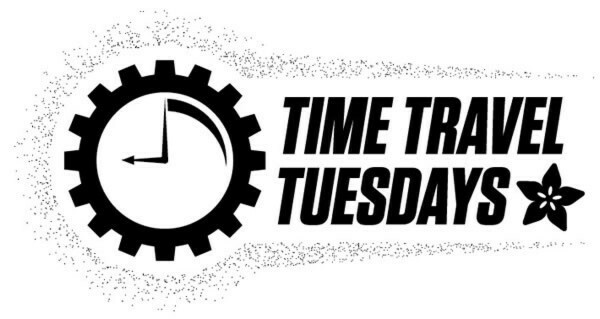 It was produced in black and white by The Walt Disney Studio and released to theaters by Celebrity Productions. It is the ninth film in the Mickey Mouse film series, and the first in which Mickey speaks. (During his first eight appearances Mickey whistled, laughed, cried and otherwise vocally expressed himself.) 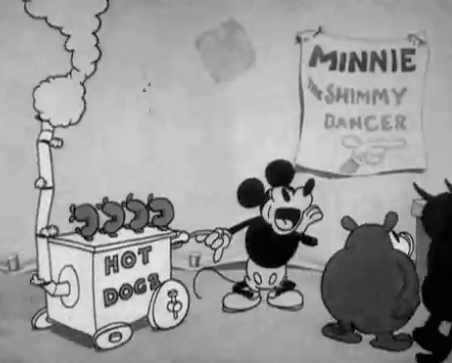 Mickey’s first spoken words were in this cartoon, “Hot Dogs!” “Hot Dogs!”, the vocal effects being provided by composer Carl Stalling instead of Walt Disney. 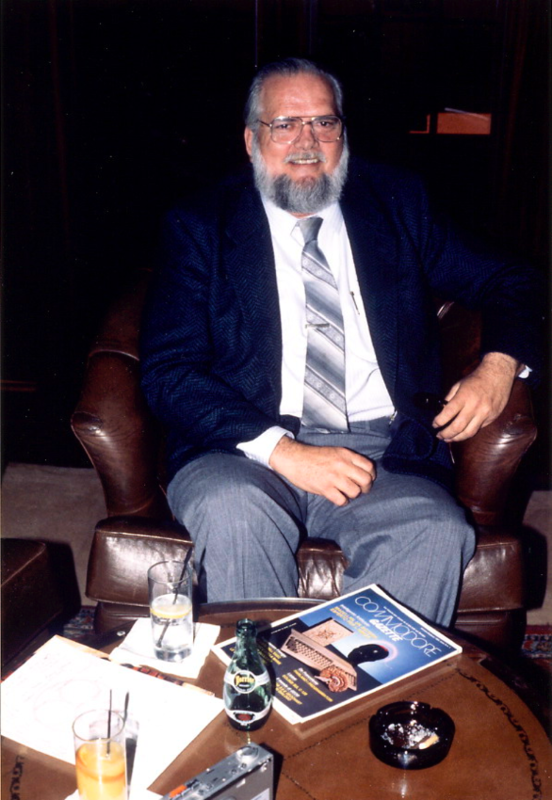 1932 – Jay Miner, American computer scientist and engineer is born. Jay Glenn Miner was an American integrated circuit designer, known primarily for developing multimedia chips for the Atari 2600 and Atari 8-bit family and as the “father of the Amiga”. He received a BS in EECS from UC Berkeley in 1959. 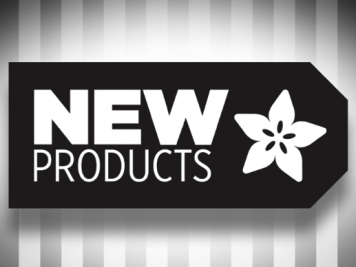 It’s a dream of many hobbyists: turning their leisure pursuits into a lucrative business. 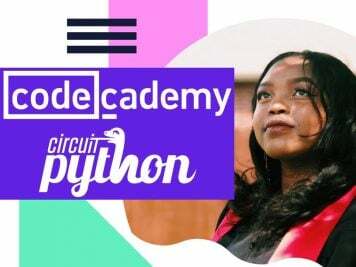 That’s what happened for MIT alumna Limor Fried ’03, MEng ’05, whose pastime — tinkering with electronics — not only gave rise to a profitable company, but also positioned her as a leader of a technology revolution. 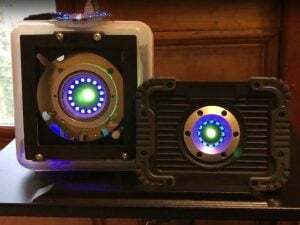 Since childhood, Fried has built, tweaked and otherwise modified (or “hacked”) electronic devices, sometimes creating her own unique gadgets. 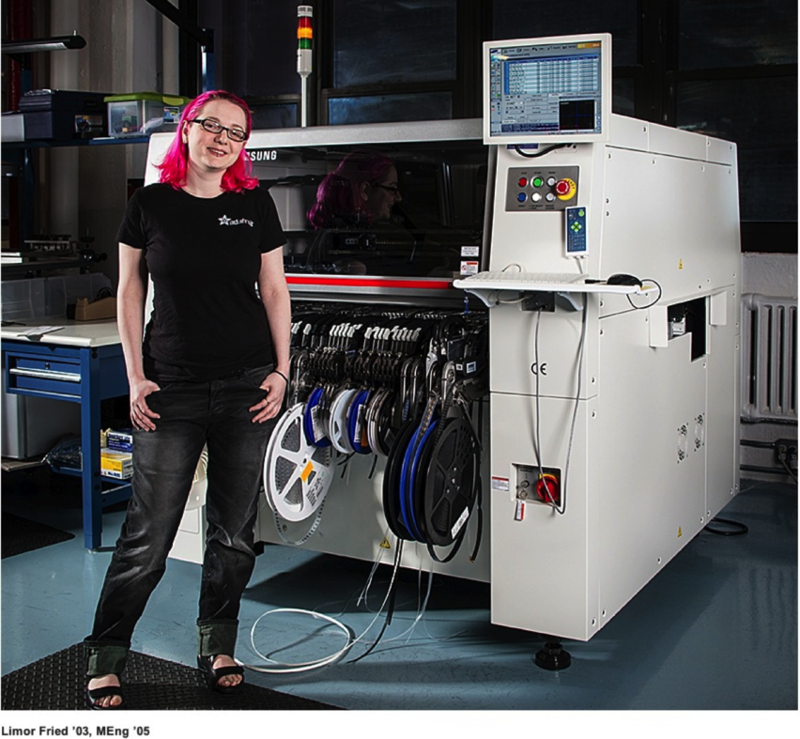 Eventually, at MIT and beyond, she would sell these products — while freely sharing their design plans online — through her startup, Adafruit Industries. 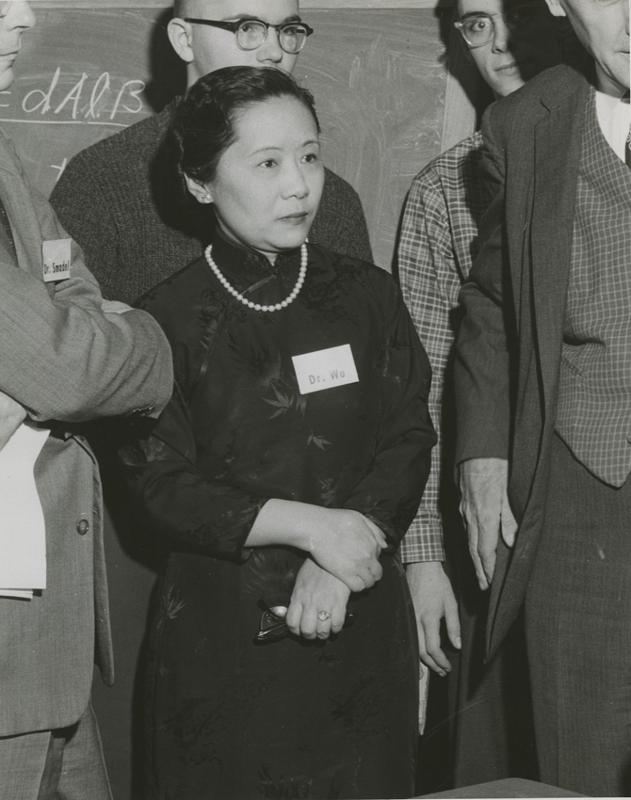 Unfortunately Chien-Shiung Wu did not receive a nobel prize, even though the two theorists whose work she experimentally proved did and the prize could have been split three ways.